The promotional bits, the feature requests and the food related press releases that have found their way into eatwithsteph! Here you’ll find eatwithsteph’s own bits and bobs. Rest assured, I won’t featuring anything that I don’t consider relevant and fit for the theme of my blog. If you would like your content posted here, please find your way to the contact page. The peeps from www.bookatable.com has reached out to eatwithsteph with a very useful food glossary, in the form of a ‘Menu Cheat Sheet’. Don’t know what Hors d’oeuvres are? or compote? Look no further, we have a mini culinary dictionary! The peeps from Roberson Wine have reached out to eatwithsteph with a know-how infographic on how to make summery cocktails. Do you know how to make cocktails using wine, and love your alcohol? Get ready for the summer with full info here. 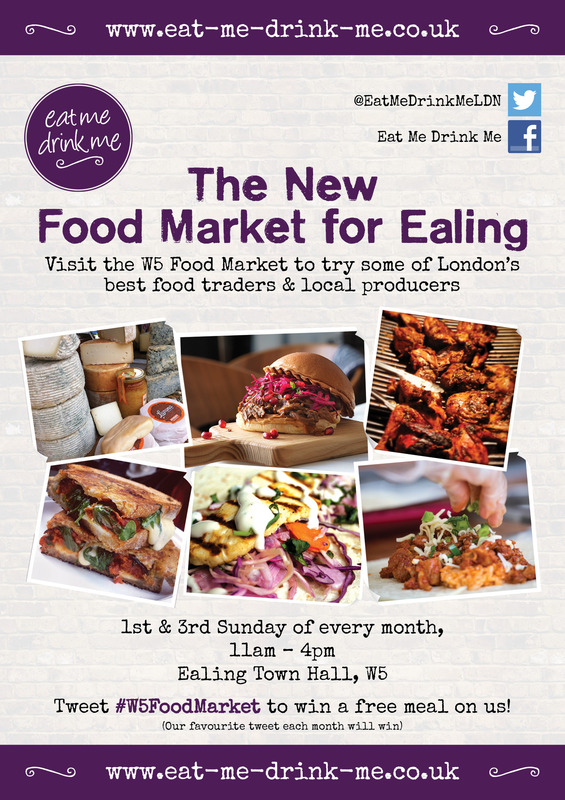 Kate from Eat Me Drink Me would like to let you know that the latest and hottest food market in West London will be in front of Ealing Town Hall every 1st and 3rd Sunday of every month. Be sure to visit! See more updates from their twitter.